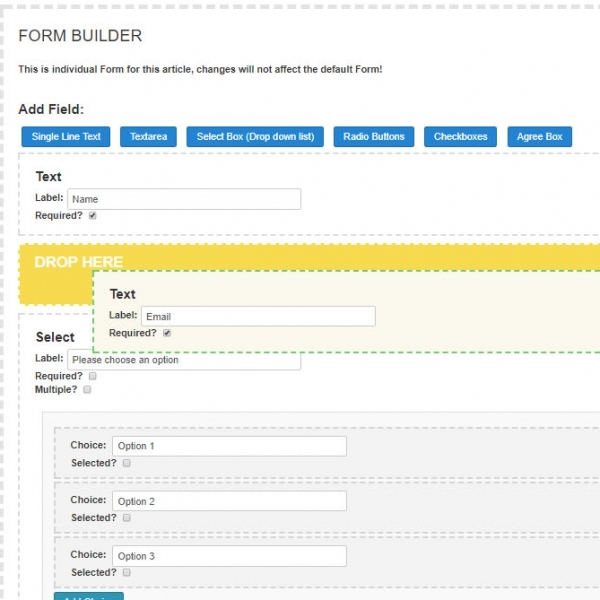 Making forms in articles just couldn't be easier! 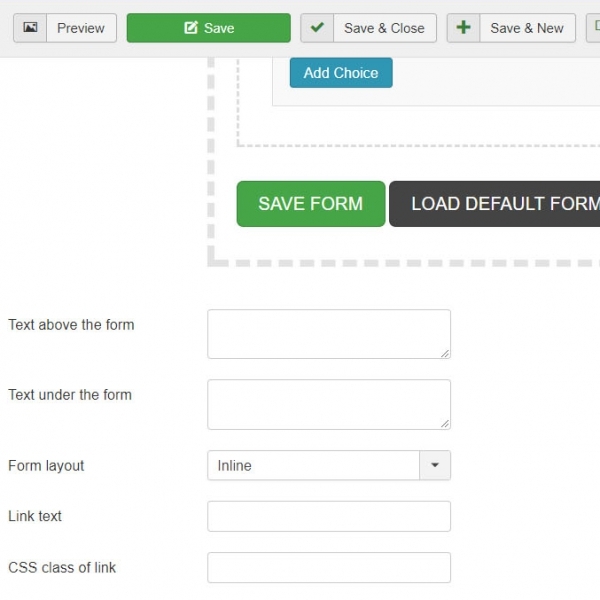 Fast and Simple and user friendly forms for Joomla Articles. 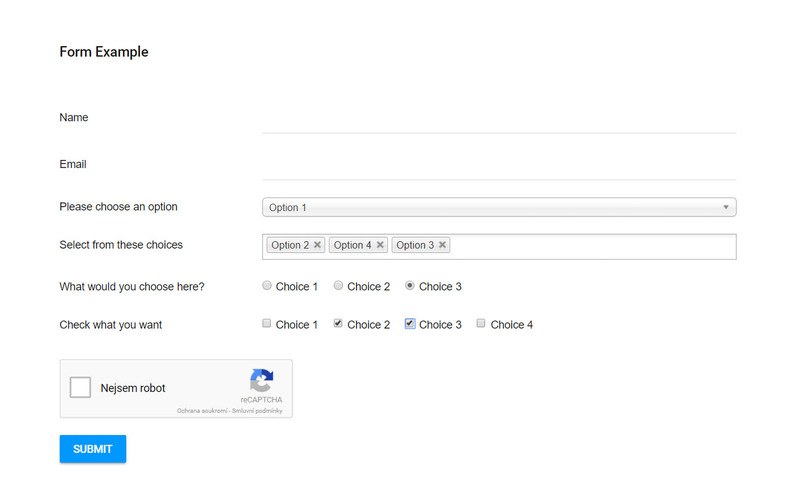 Drag and drop form interface right in the Article Edit form page. 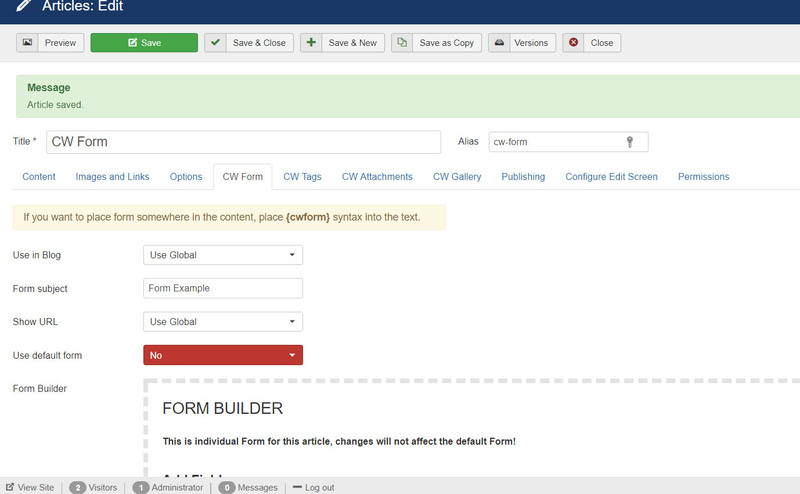 Very easy to use and effective way to manage forms for Joomla Articles. You will love it! 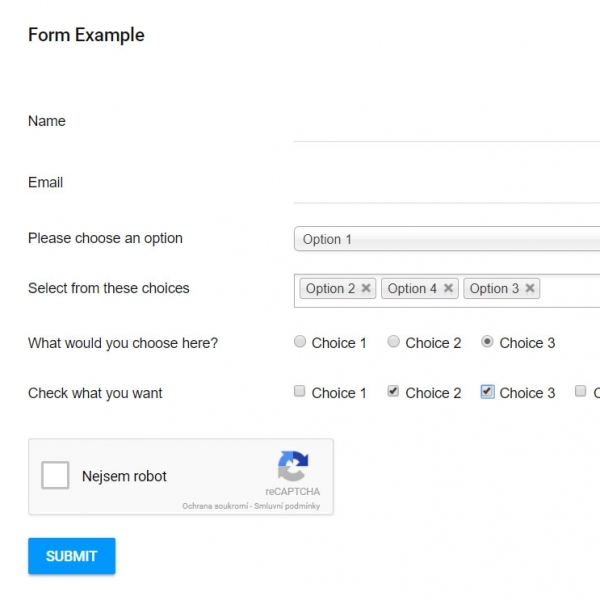 As simple as possible to be user friendly! FRIENDLY SUPPORT appreciated by many users of our extensions. Install plugin and you are ready to go! 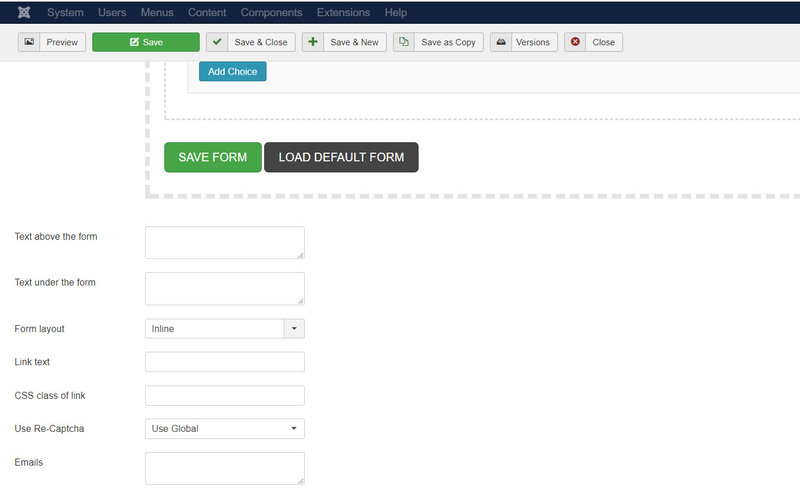 (Check if you have published plugin;) Find more informations in Guide. 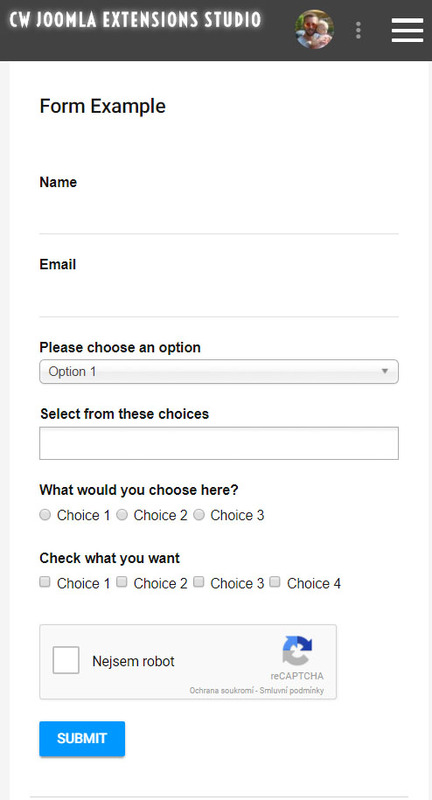 HINT: Are you looking for an easy way to create a catalogue of services or products with order form? 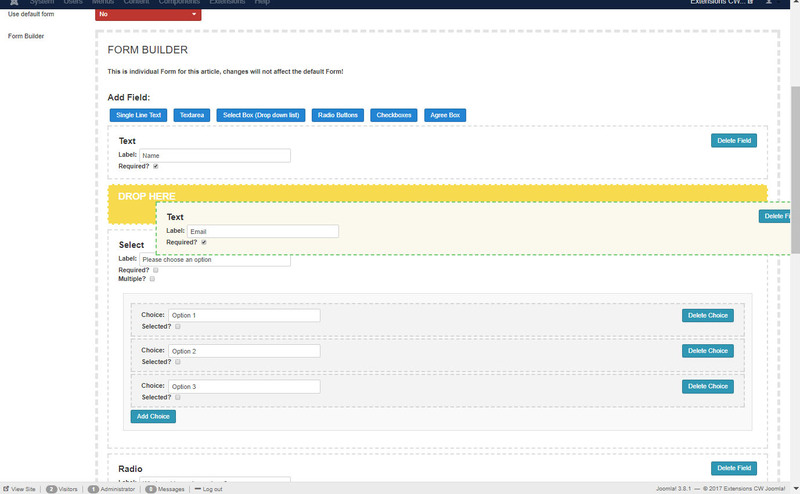 Don't want to use 3rd party components which may bring SEO problems, ACL issues (access permissions) etc.? 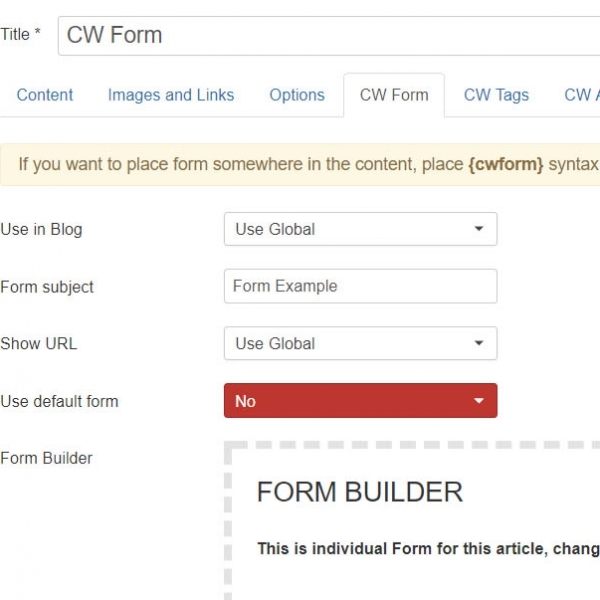 Take advantage of using core Joomla Articles to create a structure of your portfolio. 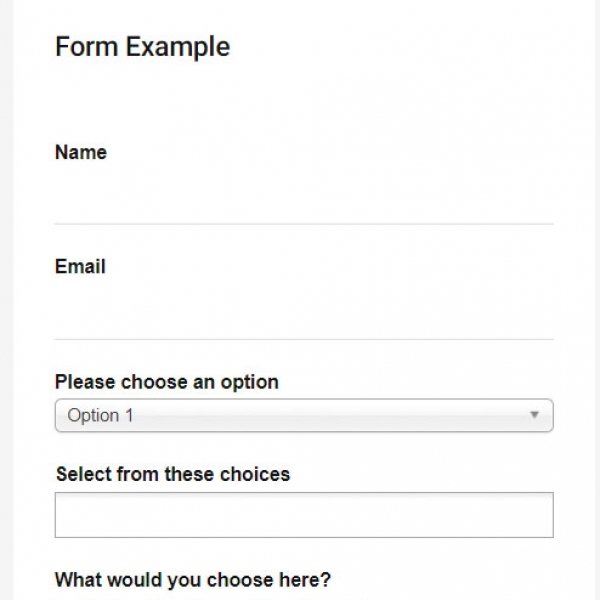 Then simply add a form in articles either default one for all or individual for each article in needed. It has never been easier.